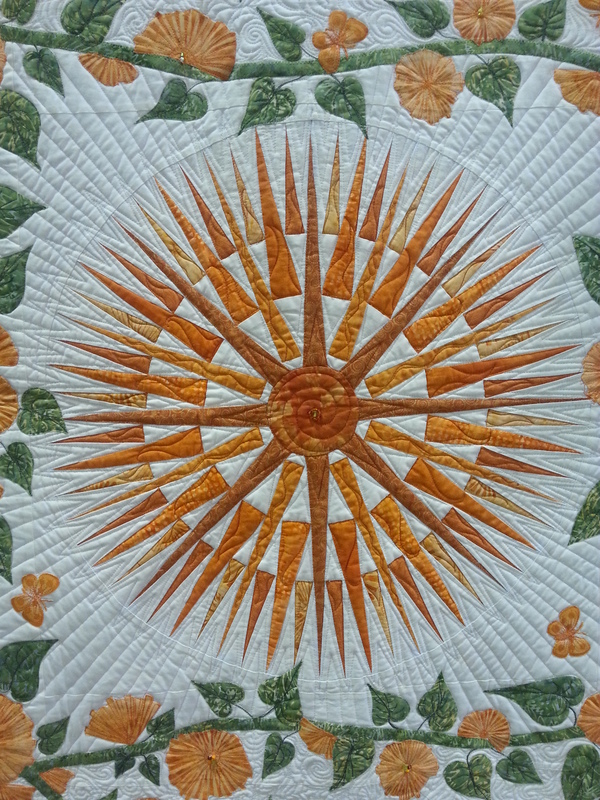 Caroline is a quilter. 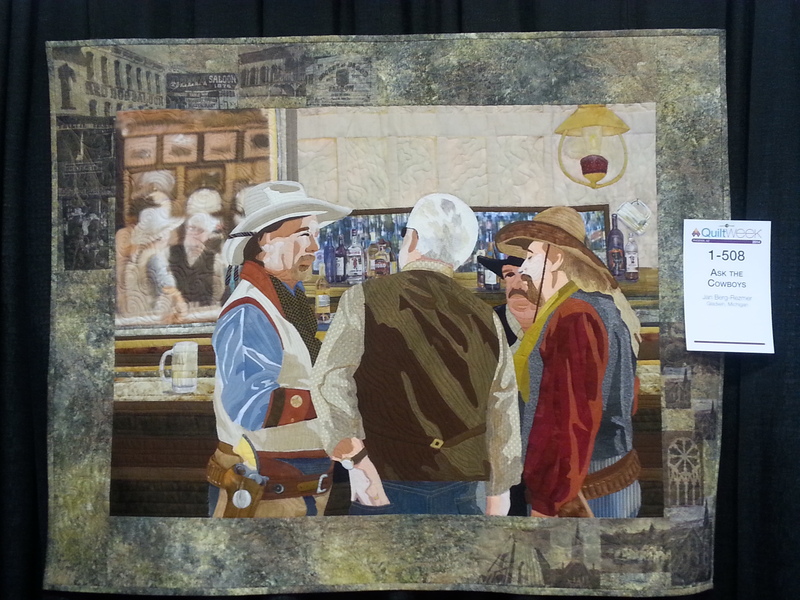 So, when she asked me to join her for a day at the National Quilting Show in Phoenix, I jumped at the chance. 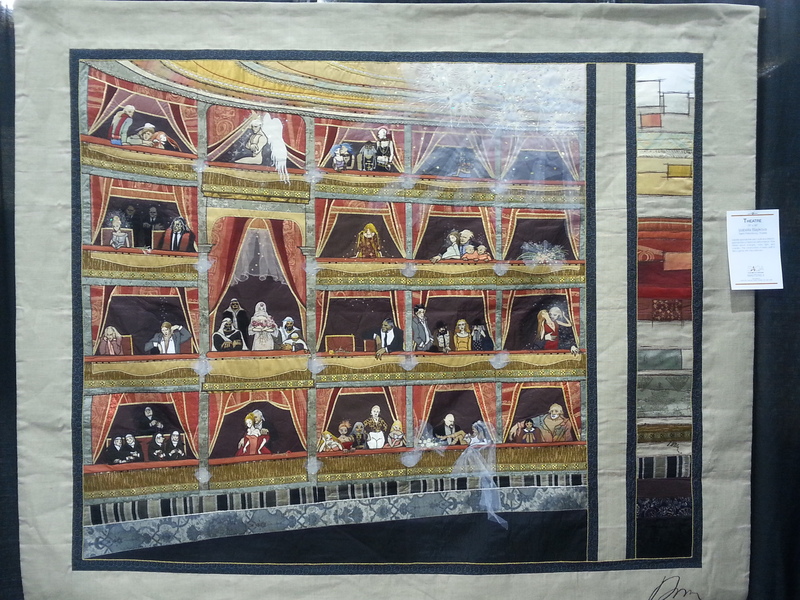 A day with one of my best friends, a chance to educate myself with some truly fantastic fabric craft. Amazing. 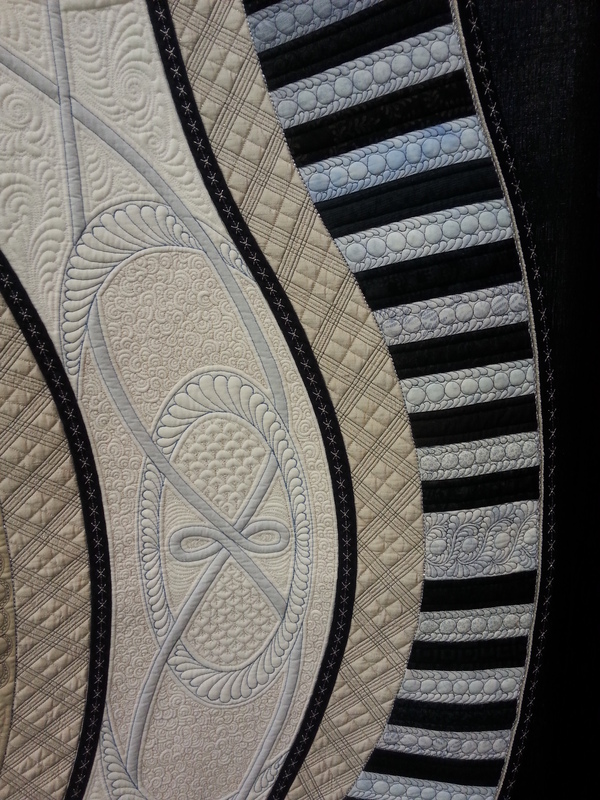 It’s hard to believe that this is fabric and stitching. 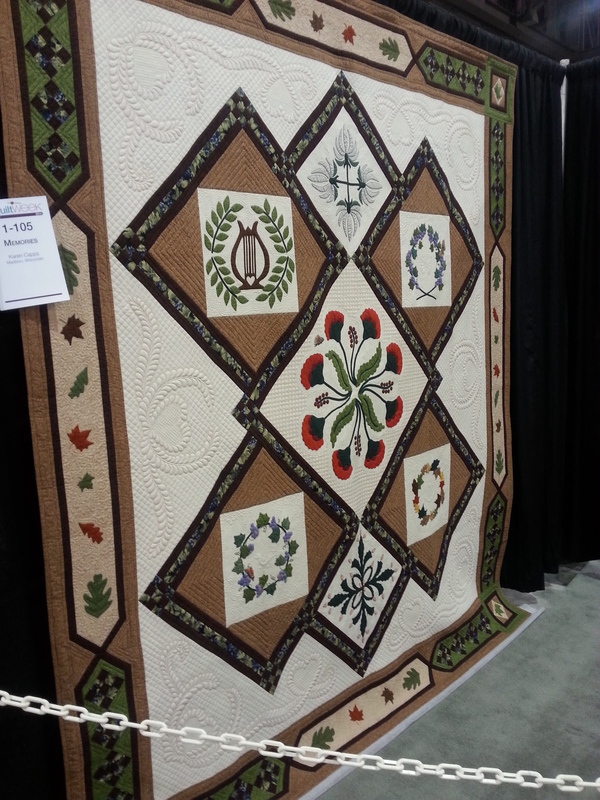 Not traditional old quilting for sure, althoug the roots are there, and some of the familiar old designs are still visible. 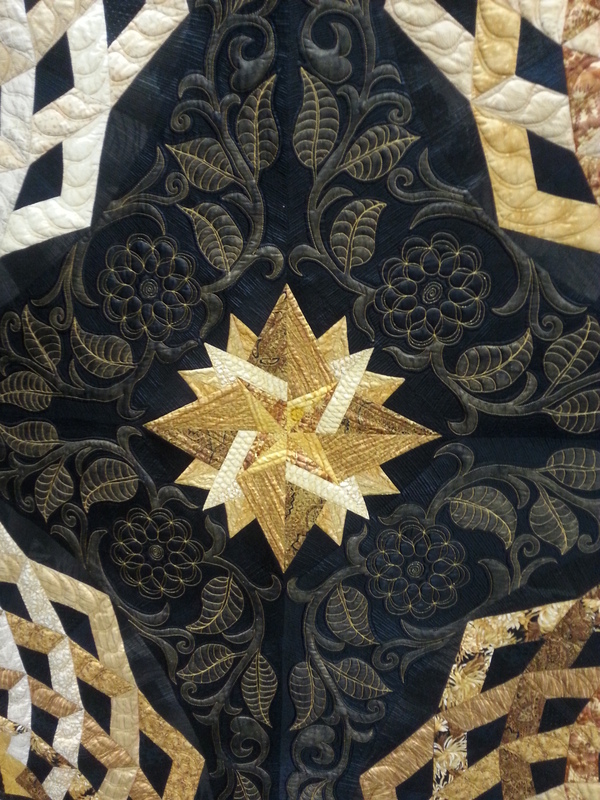 The artistry and visions of these quilters are beyond my imagination. I was awed. While spaceships land in front of him, this guy is reading the police blotter in his local newspaper. 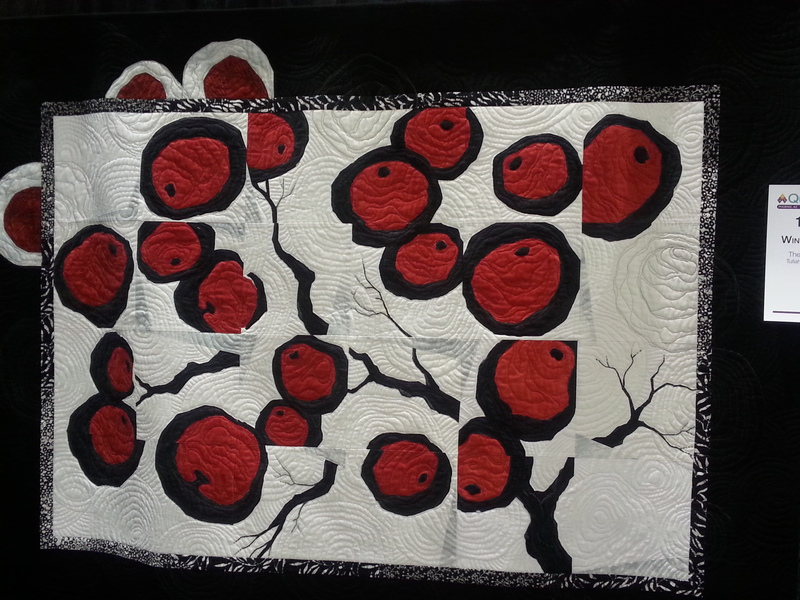 Not all quilts are traditional in design. 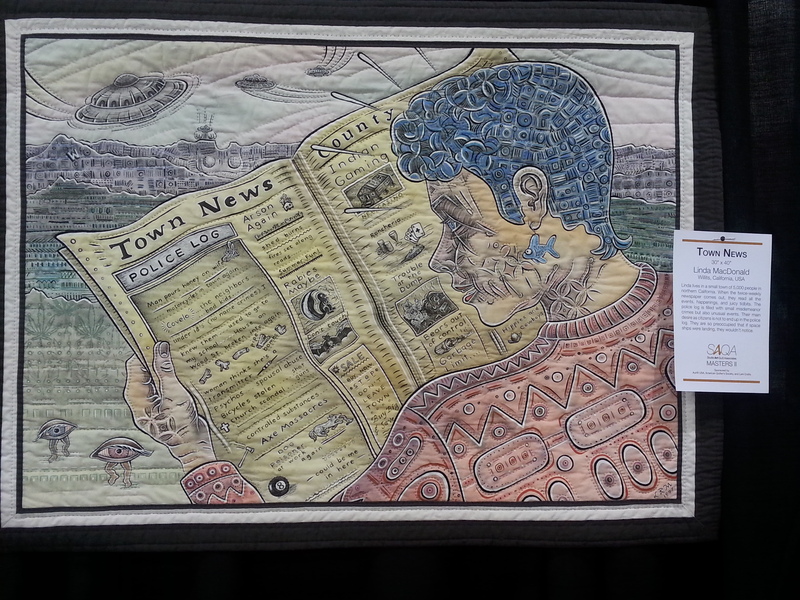 Quilts from all over the world were entered in this juried competition. Many of these were European entries. We saw several from Michigan. Each was unique. 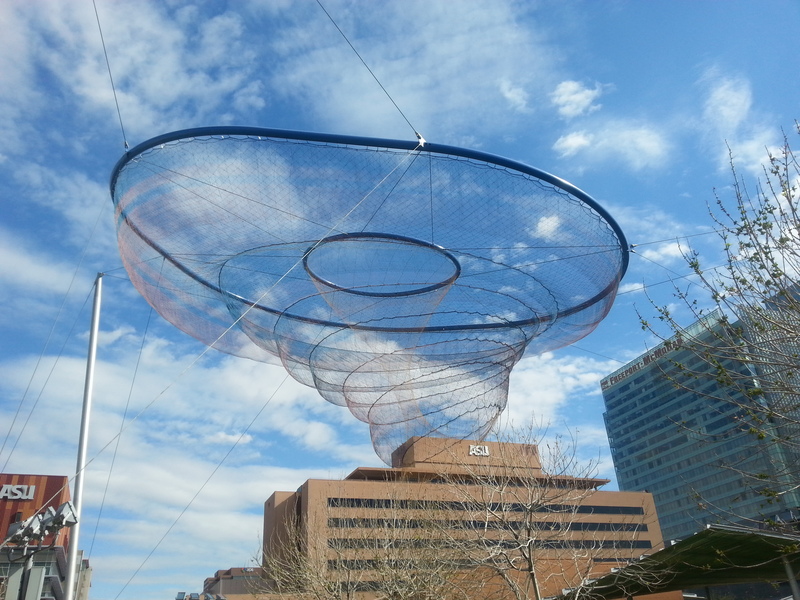 Of course, we strolled downtown Phoenix a bit. 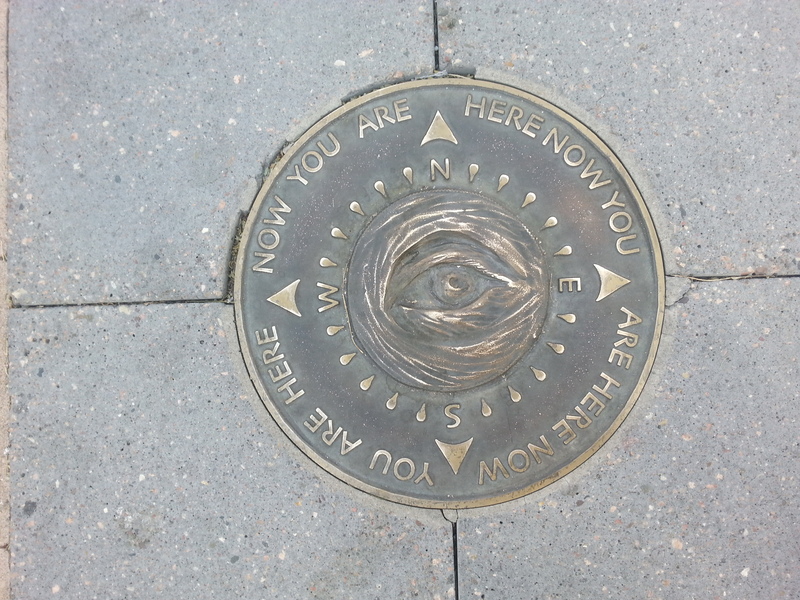 I think Phoenix might be having a bit of fun with of us with these sidewalk plates. A friendly pedestrian warned us that we invited a $400 fine for jaywalking in an area with a streetcar crossing. Thanks for the tip! For sure, that won’t happen again. 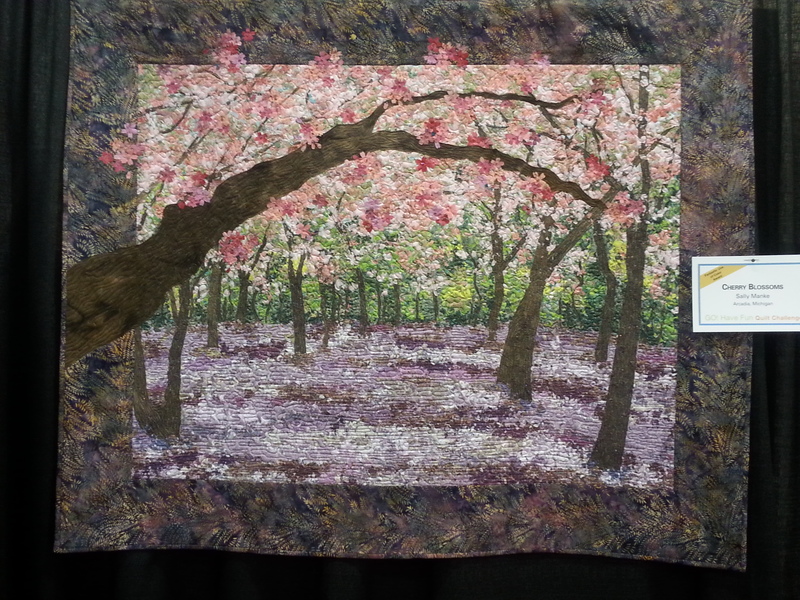 This entry was posted in Arizona, attractions, quilting, retirement and tagged Arizona, quilting by Judy Crankshaw. Bookmark the permalink. 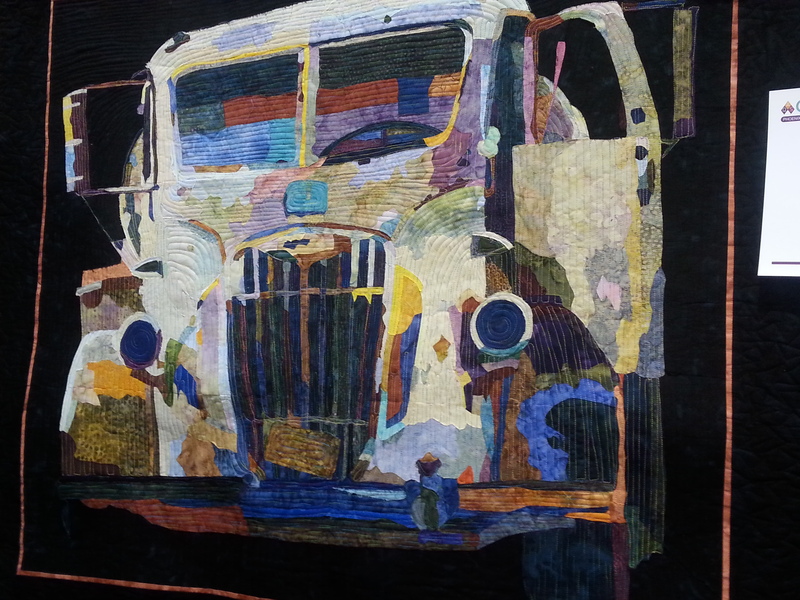 I had no idea that quilting could be such an art form! 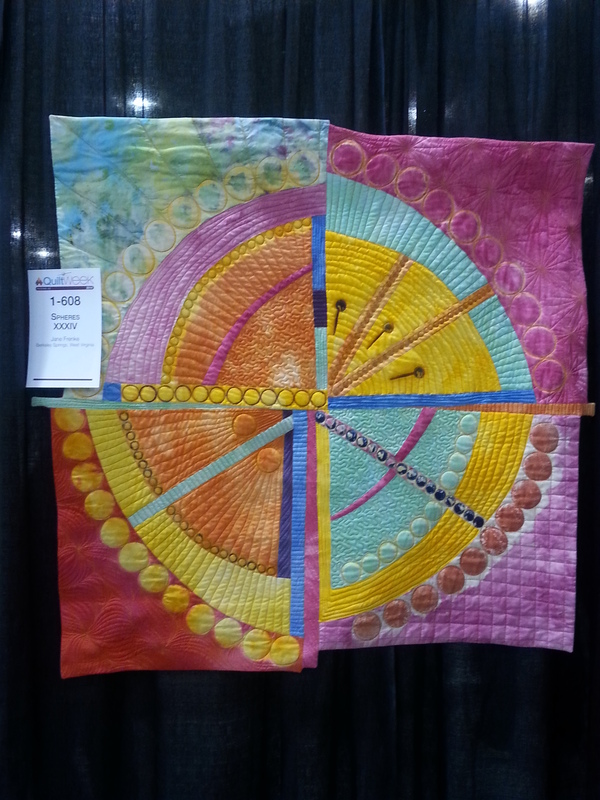 I had always thought of quilting as boring until I saw your photos! It’s truly spectacular. If you ever get near one of these exhibitions, it’s worth the effort to go. These truly are folks who think out of the box. That 4 panel display is just stunning. I am wondering what my first grade art ability could come up with… I think I’ll put that on my someday project list. Would be so much fun to try! Aren’t they breath-taking…such works of art. Lv Tubac…my fav cutting board is from there…glad your back on your bike, surrounded by friends. It’s nice to relax a bit. And it sure feels go to be moving around. Sometimes being on the road is kind of confining. Good thing we have a big active dog that requires lots of long walks every day (actually twice a day). Helps to keep us going. 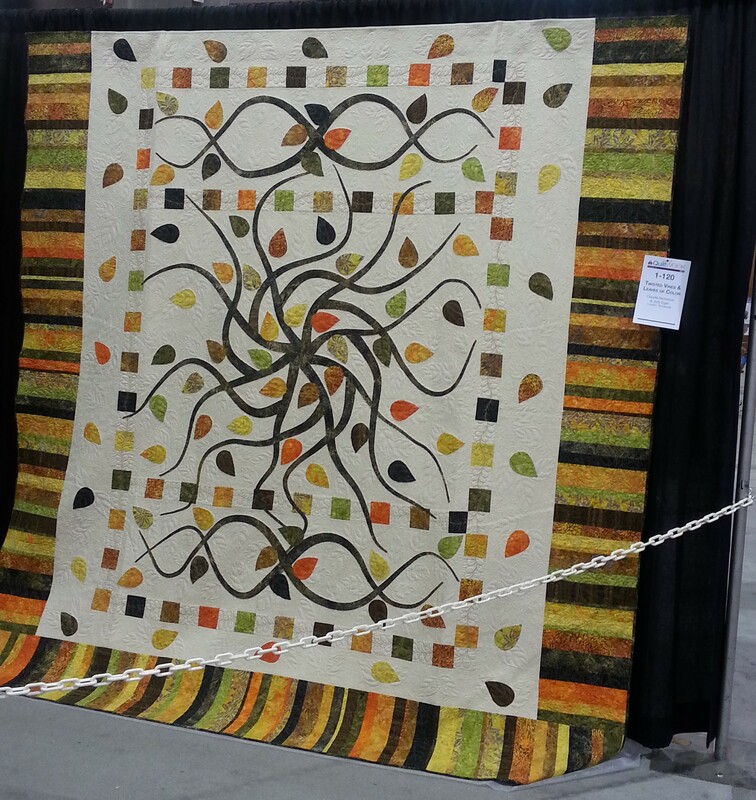 Sure make my quilts look amateurish. Beautiful! 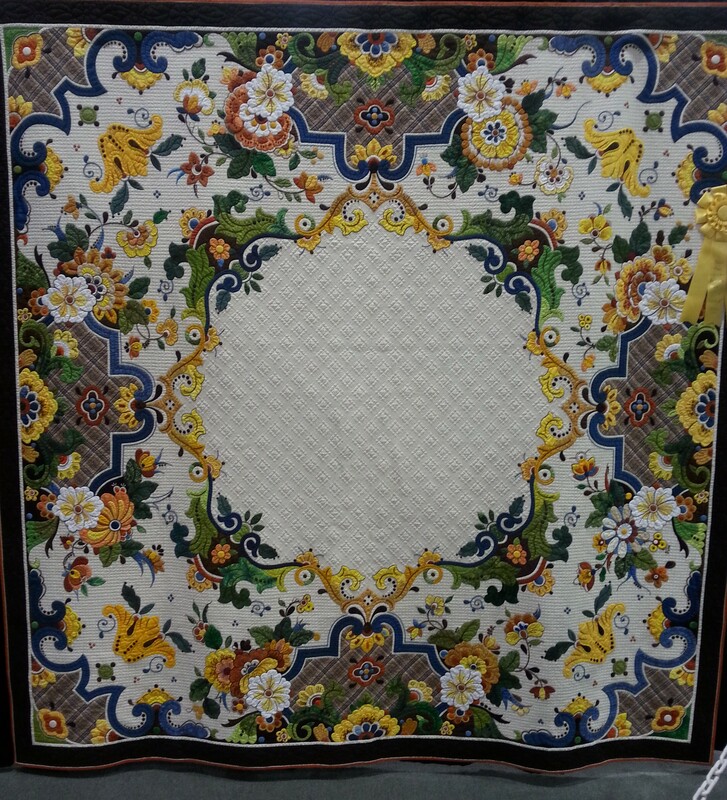 Especially like the applique quilts. 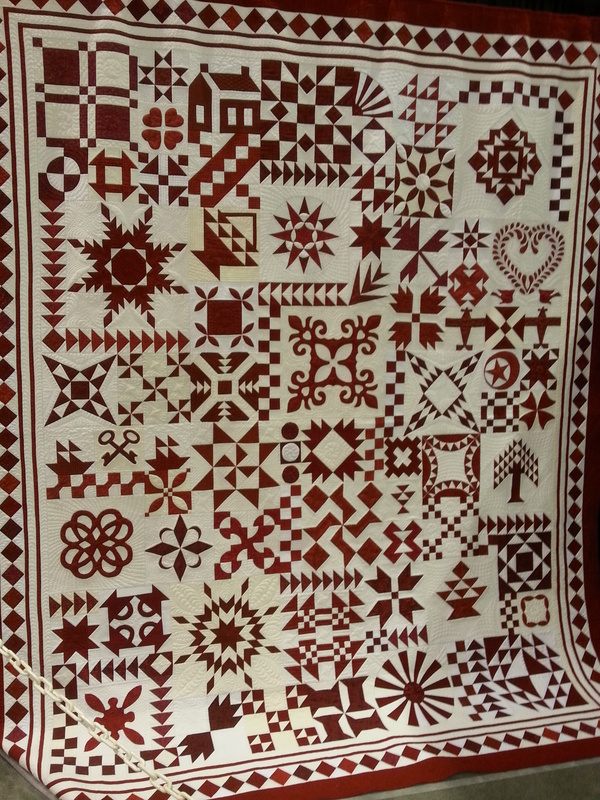 Few (if any) of these are quilted by hand as you do. 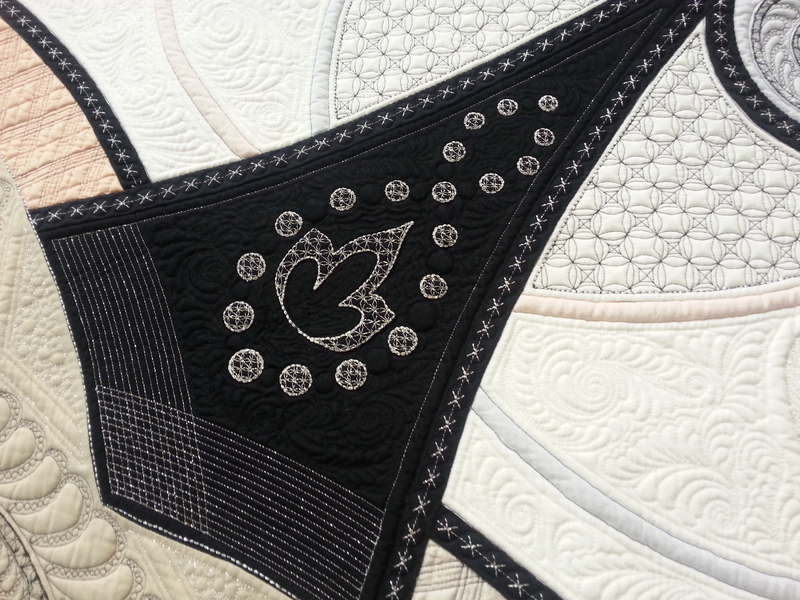 There was one quilt in the double wedding ring pattern which was beautiful. I think the quilt your mom made for us is the single version of that. Don’t think amateurish, think rustic ( or original). Probably none of these are made with the love which you add to yours. 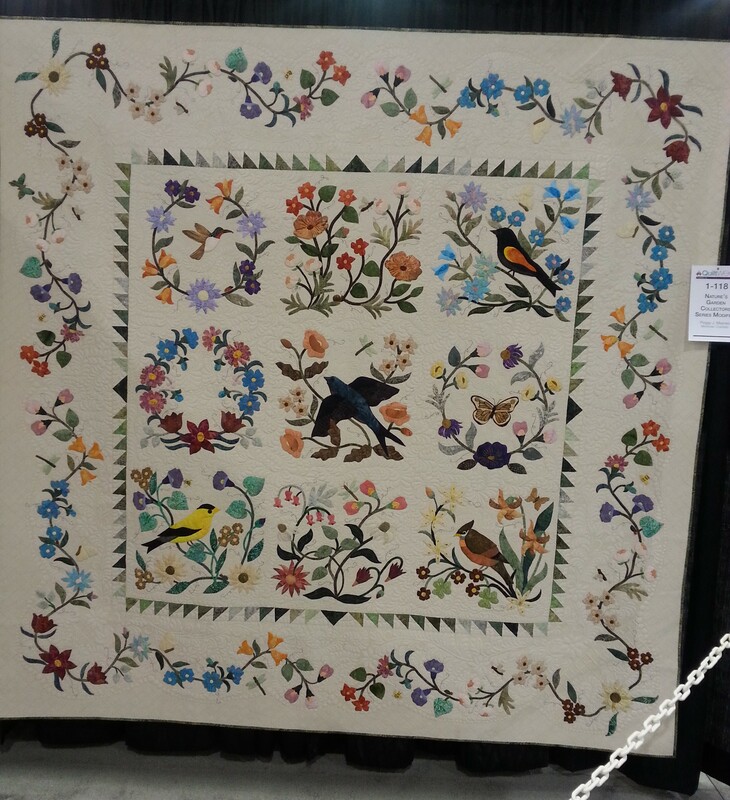 Wow, the quilts were awesome! I’d probably never attend an event like that, but I’d kick myself for having missed it if I saw photos later. You will have your chance, since this event does usually come to Grand Rapids. 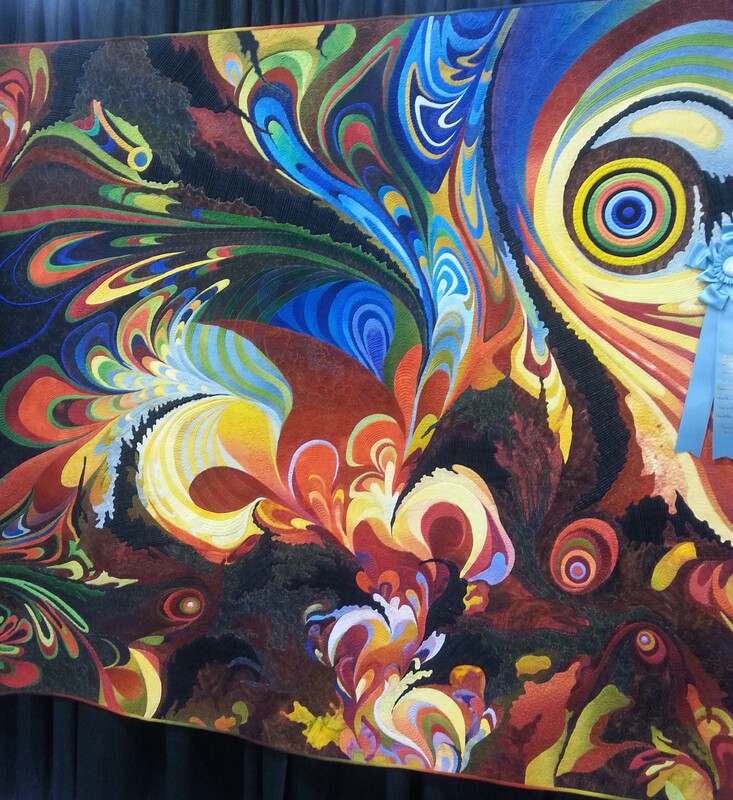 The quilter who won ArtPrize last year also had an entry in this event. It’s well worth the time and money to see these fantastic displays.